Erie, Pennsylvania’s most popular artisan market, Christmas in the Country Erie, returns to the Bayfront Convention Center (1 Sassafras Pier, Erie) Nov. 19 and 20. The holiday market welcomes 150 artisans and artists from the Erie area and across the country. The event features unique handcrafted creations including home décor, gourmet foods, trendsetting jewelry, hand-poured candles, children’s clothing, stylish pottery, original wall art, gifts for pets and holiday gift items galore. 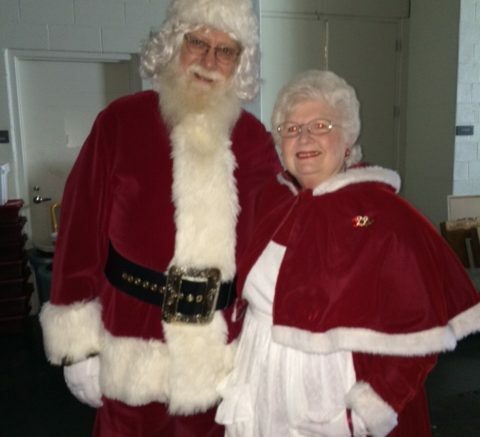 Christmas in the Country Erie will take place from 10 a.m. to 5 p.m. Nov. 19 and 10 a.m. to 4 p.m. Nov. 20. This year, patrons can enjoy complimentary return passes as well as live music from some of Erie’s finest musicians. In addition, Santa will be appearing daily from noon to 3 p.m. in his Christmas Garden, compliments of Arkwright Tree & Wreath Farm. Over the years, Premier Promotions has helped various nonprofit organizations raise over $1.4 million dollars! Discounted pre-sale tickets and coupons are available at the Candle Box Company, 3739 West Lake Road, Erie, and via www.wnypremierpromotions.com. Tickets are also available at the door. For more than 31 years, Premier Promotions has produced high-quality, extremely successful artisan events including Springtime in the Country, Christmas in the Country and Yuletide in the Country in Hamburg, N.Y., and Christmas in the Country Erie. The events are consistently ranked among the top 100 craft shows in America by Sunshine Artist magazine. Last year, more than 80,000 visitors attended these shows, purchasing more than $4.5 million in high-quality handmade products directly from the juried artists and artisans. Be the first to comment on "Enjoy handcrafted holiday shopping with meaning at Christmas in the Country Erie"